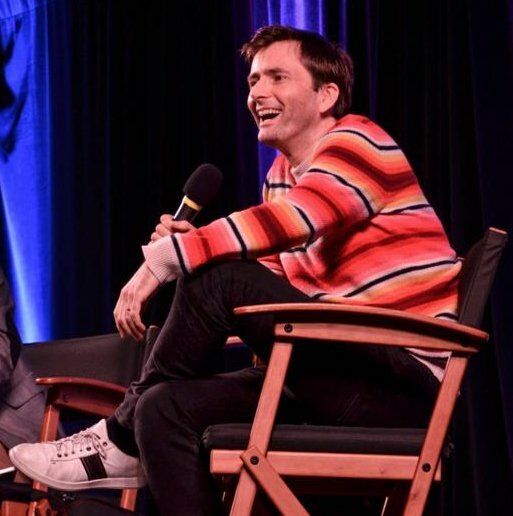 David Tennant attended Wizard World Madison fan convention at Alliant Energy Center in Madison, WI on Saturday 9th and Sunday 10th April. Also joining David was Alex Kingson from Doctor Who. Matt Smith was to have appeared too but he cancelled. There were various photo ops and autograph sessions including photos with David with Alex. David Tennant also held a separate Q&A panel. David attended from 2pm to 7pm on Saturday and 12pm to 4pm on Sunday. Link to posts related to David Tennant at Wizard World Madison on Blogger.com (usually with more details). Matt Smith and Alex Kingston will now also join David Tennant at Wizard World Madison in April.